What an Amazing Value in the Custom Build Brick Home sitting on 3.25 Acres! Peaceful Country living north of town /close to VA, Hospital, YMCA... New windows, Newly Renovated Kitchen w/ granite and tile. Newly renovated BATHS feature tile, solid surface, "Heated" jetted tubs. Master w/tub and Shower. 2 Master Suites-One on the 1st floor & 1 on the 2nd floor. Both with walk-in closets. Mud Room/Office. Lots of storage. Den w/ Fireplace. Roof Approx 5 yrs old. Many additional features to check out! Northside Elementary Elementary School / Public 5 1.82 mi. Elizabeth City Middle Middle School / Public 3 1.84 mi. Pasquotank County High High School / Public 3 1.84 mi. New Life Academy * Pre-School, Elementary School, Middle School, High School / Private N/A 1.61 mi. Central Elementary * Elementary School / Public 3 3.89 mi. Elizabeth City Sda School * Elementary School, Middle School / Private N/A 3.89 mi. 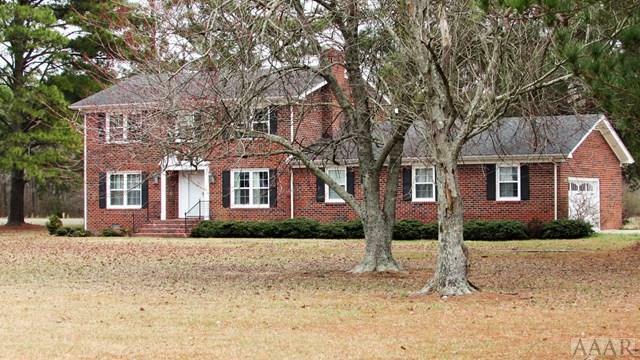 3120 W Main Street Ext, Elizabeth City, NC 27909 is a 4 bedroom, 3 bath single family home was sold for $265,000 by Lynn Bulman in the Elizabeth City real estate office.